Dan Chan, winner of the $1,100 Super Bounty event. 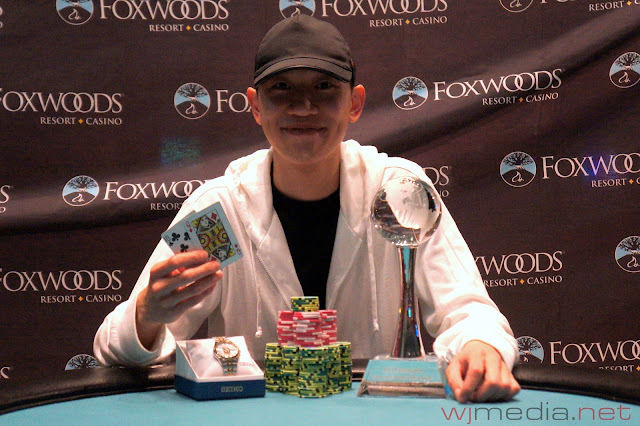 Congratulations to Daniel Chan, winner of the $1,100 No-Limit Hold 'em Super Bounty event at the 2012 Foxwoods World Poker Finals. Chan takes home $16,790 as well as the World Poker Finals Trophy and watch. Due to the inclement weather being caused by Hurricane Sandy, the $500 Six-Max No-Limit Hold 'em event scheduled for tomorrow has been cancelled. The poker room is still scheduled to be open. We will post further weather related updates as they become available. 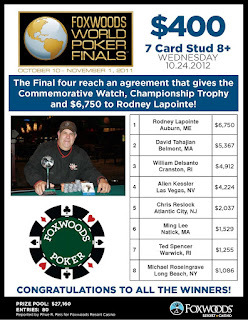 Final 10 people left at the Foxwoods 1K streaming live on Foxwoodslive.com , its my first cash since the series wish me luck !!! 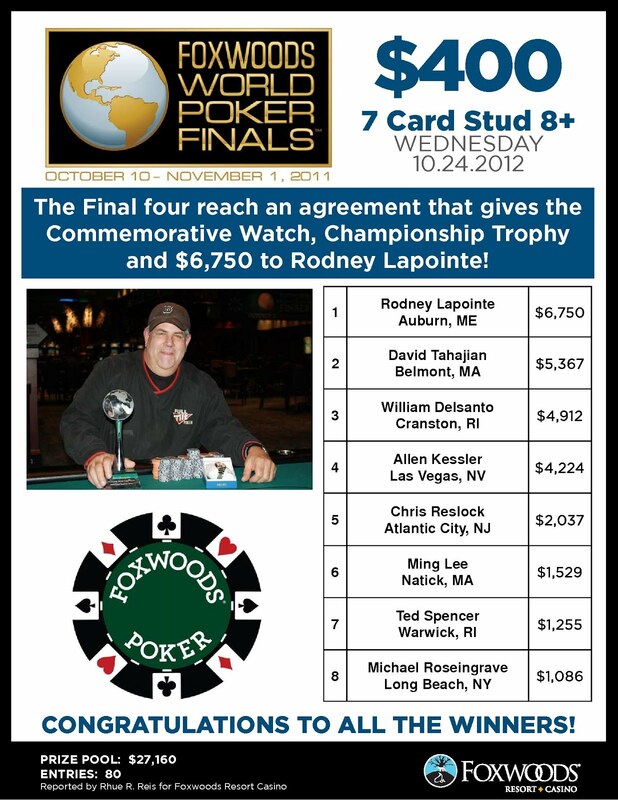 We have reached the final table of the $1,100 No-Limit Hold 'em Bounty event. 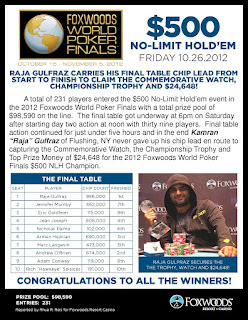 The blinds are currently 4,000-8,000 with a 1,000 ante and there is 48:23 left in the current level. The average chip stack is now 312,500. 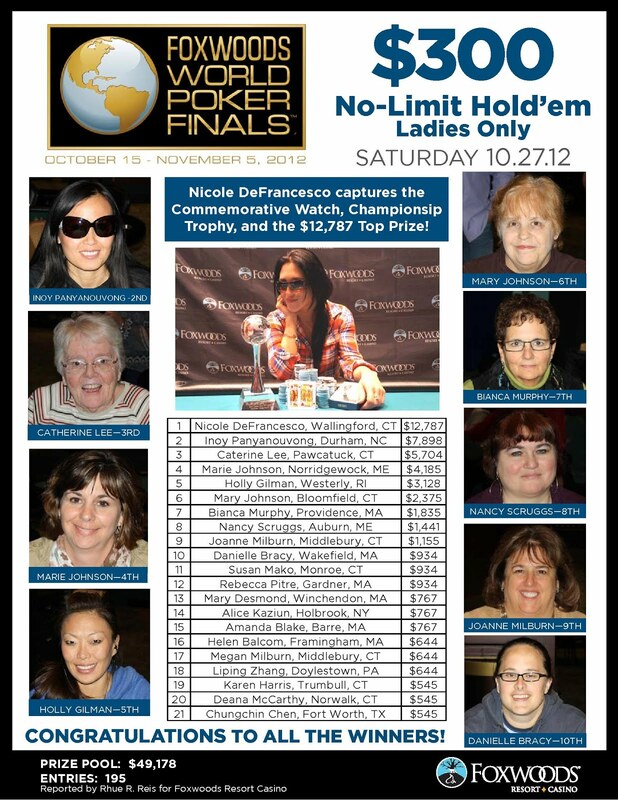 The final day of the $1,100 No-Limit Bounty event is now underway. 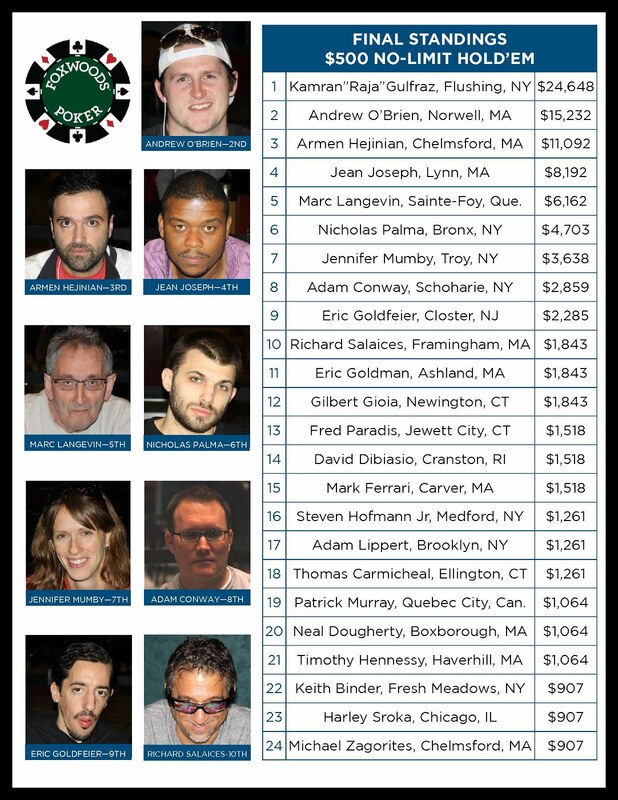 There are 15 players remaining and the average chip stack is 208,300. 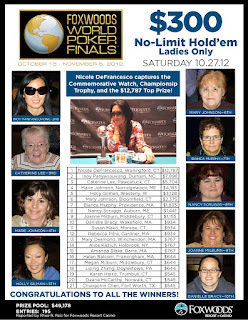 The blinds are currently 2,000-4,000 with a 400 ante. 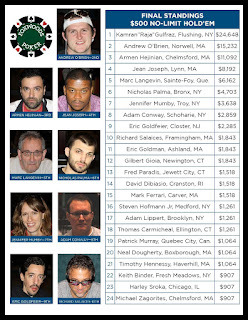 You can watch the feature table, featuring Will Failla, live by clicking FoxwoodsLive.com. Nick Petrangelo, winner of the $1,500 No-Limit Hold 'em event. 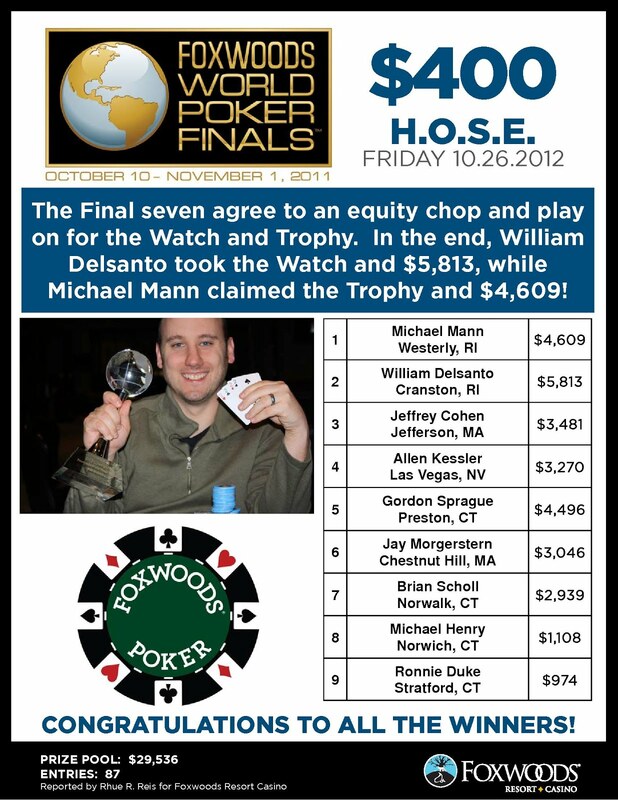 Congratulations to Nick Petrangelo, champion of the $1,500 No-Limit Hold 'em event at the 2012 Foxwoods World Poker Finals. 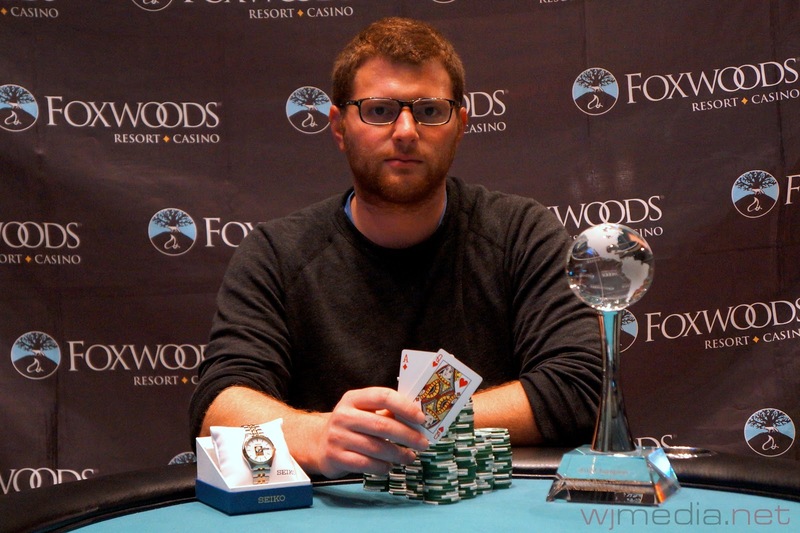 Petrangelo takes home $73,023 in addition to the World Poker Finals Trophy and Watch. The board comes [Tc][Td][4h][3h][8c] and Petrangelo takes the pot with his ace high. Jeffrey Colpitts is eliminated from the $1,500 No-Limit Hold 'em event in 2nd place, taking home $45,129. The board runs out [Tc][7s][2s][Jc][4d] and Petrangelo takes the pot with his pair of eights. 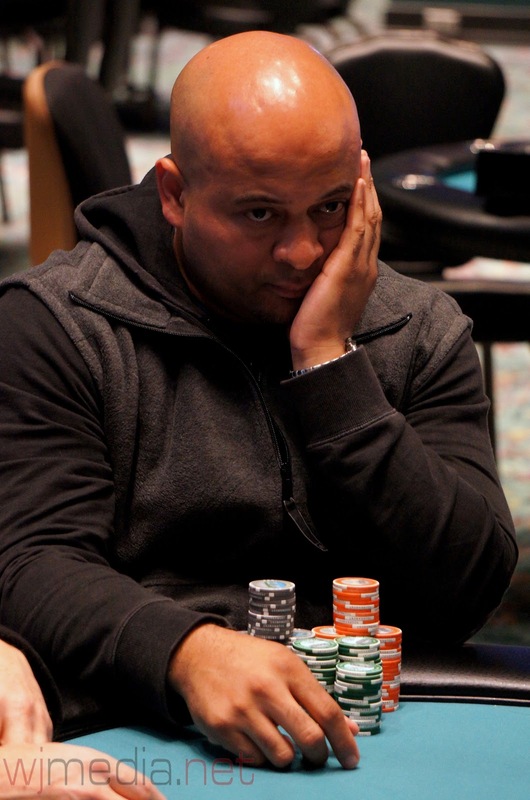 Jose Pena is eliminated from the $1,500 No-Limit Hold 'em event in 3rd place for $32,860.